Downtown Prescott is where it’s all at – from one-of-a-kind shops to historical bars visited by the likes of Wyatt Earp himself. Don’t miss this opportunity to experience Prescott’s history hands-on. 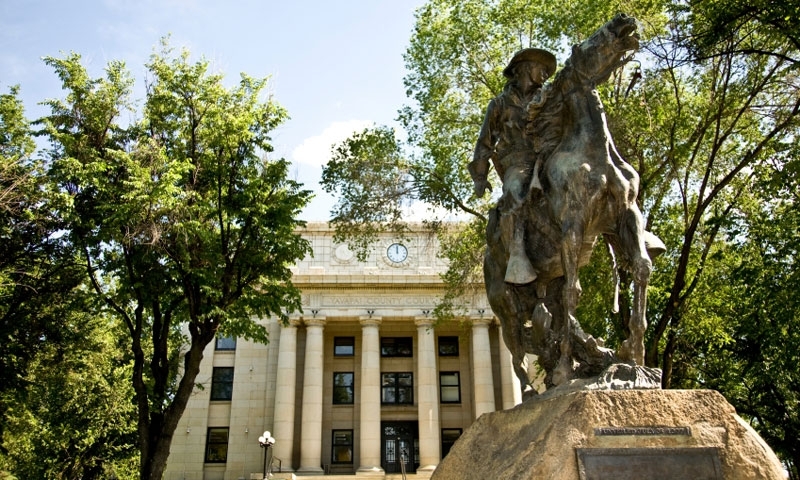 Discover Prescott’s history by walking through the old buildings. Lots to do in downtown Prescott. A nice, relaxing way to spend an afternoon exploring shops and interacting with the locals. What can I see/do in Historic Downtown Prescott? Dining: All smaller restaurants and each with its own claim to fame, dining in downtown Prescott is second to none. Shopping: Take a little bit of Prescott home with you when it’s time to leave. Peruse the downtown shops and check out the amazing mishmash of items you’ll find – from decade’s old antiques to the most fresh and contemporary artwork around. You’ll find it all in the downtown area. History: Mostly built in the 1800s (aside from the portion that burned in 1900 and was rebuilt), these buildings are just filled with history. Enjoy the signs provided by the National Register of Historic Places which give the brief history of the building as you tour the town on foot. Where is the Historic Downtown? The historic downtown area can be reached by following Gurley Street once entering Prescott. Anyone with questions is invited to contact the Prescott Chamber of Commerce for additional information, at 928-445-2000.